At $5/Meal, Is Dinnerly the Cheapest Meal Kit Delivery Service? Could a new kid on the meal kit block spark a price war? That’s not the obvious objective of Dinnerly, the newest product by the folks at Marley Spoon. But the company is promising ready-to-prep meals delivered to your doorstep for $5 a plate — half the price of its competitors. The service promises five easy-to-follow cooking steps and “minimal chopping” for meals that take a maximum of 30 minutes to prepare. “Dinnerly is able to keep costs low by offering a fixed weekly menu, and by cutting down on excess packaging and not printing recipe cards, which will in turn reduce packaging waste at home,” a fact sheet for the service explains. Meals that are easier to assemble while being fit for families may run the risk of… well, being boring. Dinnerly’s initial weekly menus have pasta as a frequent meal base, while more expensive meal kits seem to rely on potatoes, in our experience. Meal kit pricing is one of the biggest barriers for people who have plenty of dinnertime options. At the lowest end of cost, there’s regular old fast food. Fast casual, takeout and delivery options can also typically get you an adult-size serving for under $10. And anyone who scours the grocery store circular each week knows that $10 per serving — the typical benchmark for meal kits — is generous. Nobody’s signing up for meal kits to save money, though. It’s all about convenience: Not having to wait for takeout or haul your reusable bags to the grocery store week after week is a huge selling point. But as dinnertime approaches, you still have to cook the food that a subscription service drops at your door. Maybe that actually having to cook element is part of the meal kit industry’s problem with customer retention. One study of new subscribers showed 48% customer retention after six months and 29% at the one-year mark. Combine poor retention with the tactics meal kit companies take to lure you back (Who doesn’t want 50% off one more week of meals? ), and it looks harder and harder for meal box companies to maintain their profit margins. 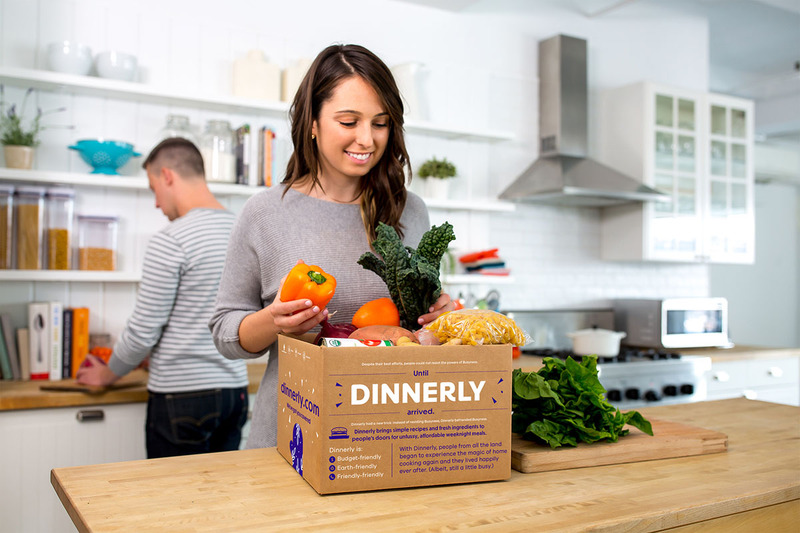 Dinnerly could ignite some competition to merge convenience and cost for a better meal kit experience. Dinnerly’s service is available on the West Coast now, with expansion to other regions planned for later this year.